Hope you are all doing really well ? - I'm in such a happy/excitable mood at the moment as I have finalised the delivery date for my brand new car. I'm so excited!! but it has been a little stressful trying to co-ordinate it with my work... but it will definitely be worth the wait. However, with that aside today I am going to be posting about the Enrapture Heated Rollers* - I was really excited when Enrapture wanted to work with me again and jumped at the opportunity to get involved.. who doesn't love glamorous hair ?! - I loved the totem styler, but I have always loved the Babyliss Heated Rollers so I was excited to see how the Enrapture ones compared. I had this post planned a lot earlier, but I have been experiencing really bad problems with my broadband, so we are getting a new super fast system installed tomorrow. I'm also staying with my sister at the moment, so it has been quite hard to get the right lighting as she lives in a barn conversion! but finally I have been able to get all the pictures done so I hope you enjoy the post lovelies, and don't forget to leave your comments and links below. The Enrapture Heated Rollers are a fantastic way to get those coveted super model curls, and after trying them out on a few occasions I have to agree that these really do work fantastically. There is some super cool technology behind these beauties, as the rollers emit heat from the core and also the butterfly clips simultaneously to really ensure that the end results are fabulous curls. The content duo heat is also great to style long and thick hair, which is a bonus for me! previously to trying the Enrapture products I found it so hard to find a single styling tool that could really work with my long thick hair. If that isn't enough these beauties can fully work their magic within 10 minutes! which is great if you are a girl living a fast pased lifestyle, which most of us girls do!. As you can see in the first picture I brushed out my under section to show you how it looked before I started curling. I do have a natural wave to my hair, but as you can see the Enrapture rollers created a lovely glamorous curl. I love the way these rollers make my hair look and the fact they heat up within 2 minutes and set within 10 minutes is just amazing. The technology behind these rollers is really impressive and helps them to really live up to their expectations of totally glamorous looking hair. Previous to this occasion I used the rollers to style my hair for my first night out with my spa girlie's, and I had so many comments off them saying how lovely my hair looked, which was a huge confidence boost. 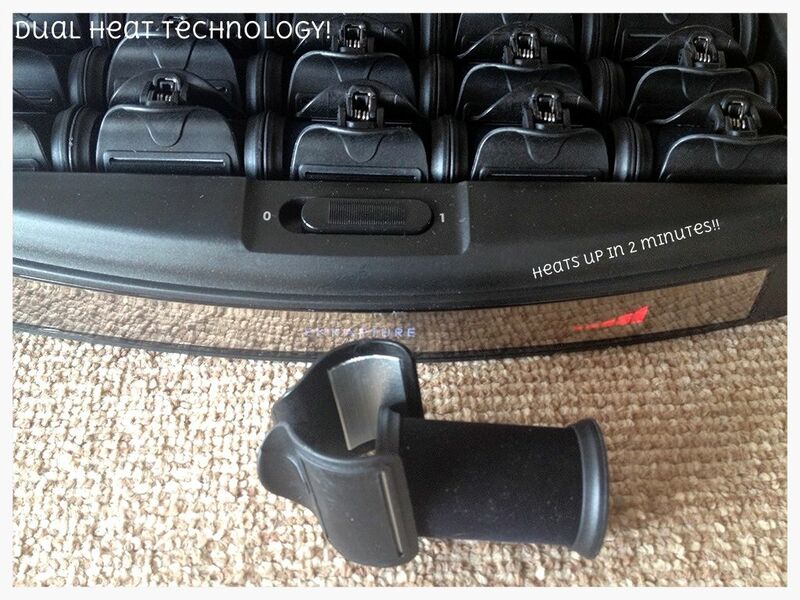 The heated butterfly clips do a great job of holding the roller as well as adding an extra boost of heat to really create and set the curl. With previous rollers I have had the clips have been really bad at keeping the rollers from falling right back out which is really annoying and time consuming. 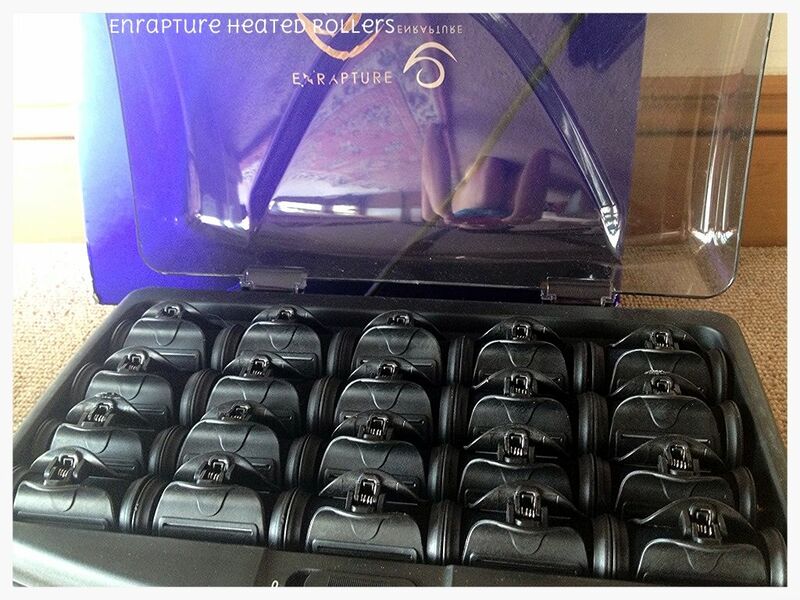 With the Enrapture rollers everything is really hassle free, which makes using these rollers a pleasure for both day and nighttime use. There was just the right amount of rollers for the length and thickness of my hair, so if you have hair similar to mine then you won't have to worry about running out of rollers. The curls definitely stay around for a while as well, as after I styled my hair in the morning my sister come to see me that evening and she commented on how bouncy and full my hair looked. Overall, I would totally recommend the heated rollers, as they do a fantastic job of creating glamorous and hassle free curls. I would have liked maybe some large sized barrels, as my hair is so so thick and I found my hair consumed even the largest barrels. However, that aside I found using the Enrapture Heated Rollers a lovely experience, and they will definitely be my go to styling product for glamour filled nights out with the girls. Fab review! 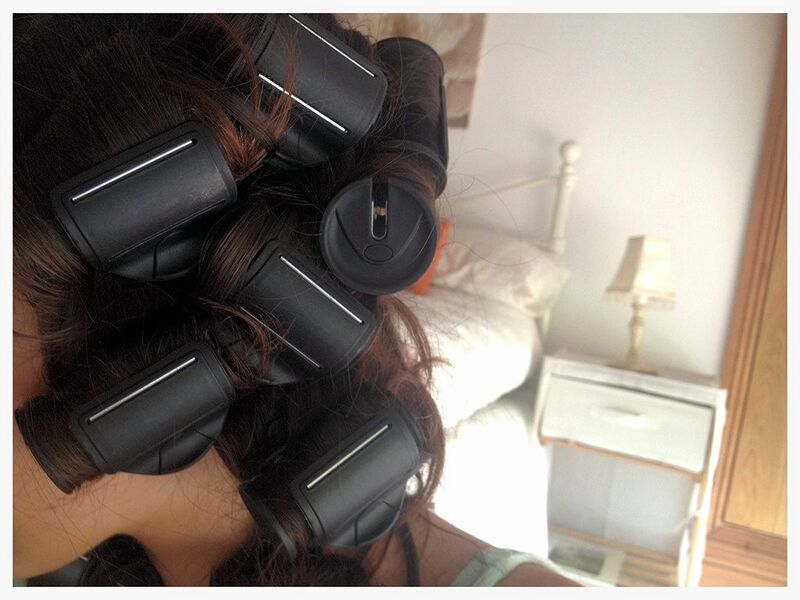 Are there enough rollers for your full head of hair? I have similar hair to you in thickness and length and in the past i have needed more rollers than came with the kit! Ive been wanting these for so long, your hair looks literally AMAZING! 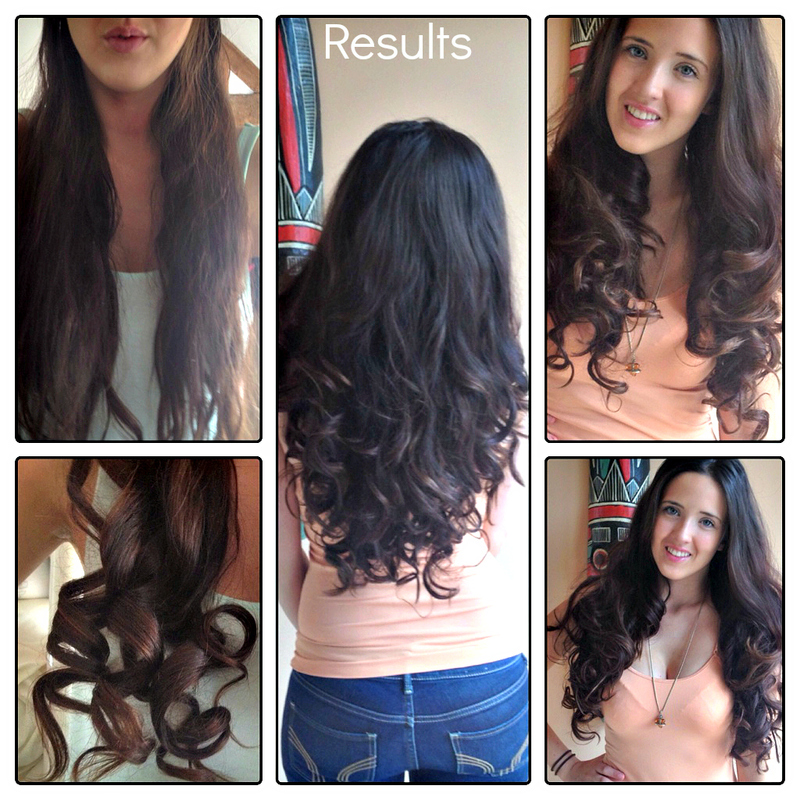 Ooo these look fabulous and create the perfect 'supermodel curls' from the results I can see on your hair hun! Thank you for sharing such a great review, definitely want to try these!